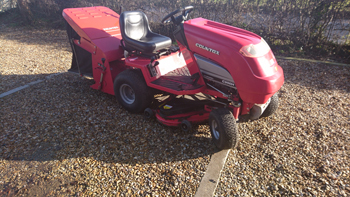 This used Countax C300H garden tractor is powered by a 13hp twin cylinder Honda engine and has foot controlled hydrostatic transmission. 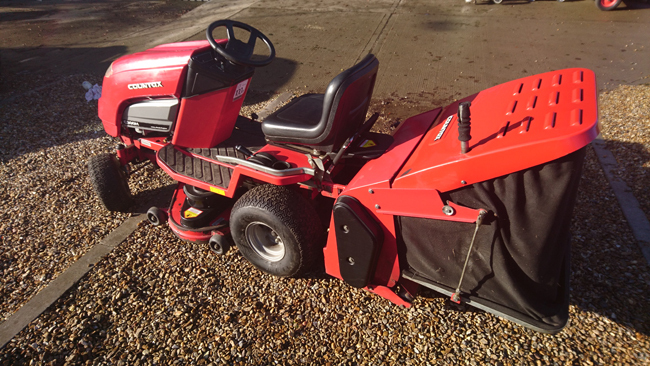 Fitted with a 36 inch cutting width IBS rear discharge deck and a 300 litre powered grass collector. 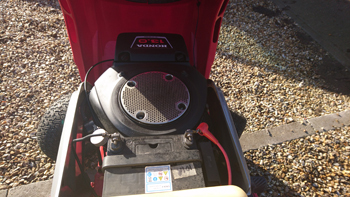 In preparation for sale, we have carried out a full engine service. In addition, a new set of cutting blades has been fitted to the deck and pulleys and bearings have been replaced on the sweeper collector as required. Genuine Countax and Honda parts have been used. This machine is on display at our branch at Hillside Nurseries, Shipdham Road, Toftwood, Dereham, Norfolk, NR19 1NP, telephone 01362 699888. Delivery of this item is FREE to addressed in Norfolk and the Waveney Valley area of Suffolk. Delivery will be made by our own vehicles to customers in this area. We can arrange for a specialist carrier to deliver to any other mainland UK address, this service will attract a carriage charge payable in addition to the cost of the machine. Please contact us on 01603 738635 or 01362 699888 for more details.